Anthropologists must trace the ripple effects of fear that impede health service use. One crisp January afternoon one of us (Sarah) sat in the living room of Guadalupe, an immigrant farmworker in California’s Central Valley, as she explained why she had refused to accept Emergency Medicaid to cover her children’s delivery. Quietly and calmly, as though she were describing an ordinary event, Guadalupe shared how she and her husband scraped together the funds each month—on a farmworking salary averaging about $18,000 a year—to pay off the more than $20,000 debt they owed hospitals for the births of their children. “For the boy who is now 18, my husband still has a bill of $7,000,” she said. In fact, she and her husband only accepted Emergency Medicaid coverage for the birth of their third child because the baby had to be kept on a hospital respirator for nine days. But Guadalupe was aware even then that she should try to limit her use of health services: “So I got Medicaid for the birth and the time [the baby] was in the hospital. But nothing more than that,” she said. Although the federal government clarified in 1999 that the receipt of Medicaid benefits should not count towards “public charge” determinations, Guadalupe’s story—along with many others from our immigrant research participants, students, friends, family, and community members—shows that the public charge doctrine contaminates the receipt of public benefits in immigrant communities with fear and anxiety. Widespread confusion and reluctance exist about how receiving Medicaid or other forms of public assistance will jeopardize people’s chances of remaining in this country with legal status. As members of the Anthropologist Action Network for Immigrants and Refugees (AANIR), our research, teaching, and advocacy work suggest that the recently proposed changes will further discourage legal permanent residents from using Medicaid benefits (thereby yielding premature and preventable disability and death), prevent citizen children from receiving Medicaid, and sow mistrust between immigrants and health care and social service providers. After assiduously encouraging their Medicaid utilization despite the persistent myth that this would jeopardize immigrants’ chances at legal status change or naturalization, safety net providers now have to tell immigrant patients that their fears are justified. In September 2018, the US Department of Homeland Security (DHS) proposed to revise regulations to the “public charge” rule, which defines who is deemed “primarily dependent on the government for subsistence”; the DHS uses this definition to determine people’s (in)ability to file for immigration status. The proposed regulation would greatly expand the list of public benefits, making it easier to deem immigrants “public charges” and thereby deny their admission to the United States or their adjustment of status petitions, such as for legal permanent residency (a “green card”) and extensions of temporary status in the United States. While previous rules had allowed immigration officials to consider cash benefits and institutionalization for long term care as grounds for labeling an individual a “public charge,” the proposed expansion will include a wide array of health and social services: Medicaid, food stamps (SNAP), Section 8 housing vouchers, and insurance purchased through the ACA marketplaces, among others. Although the details of DHS’s proposed regulation generates confusion, it sends a clear message to immigrants and mixed-status families: being a “good citizen” means avoiding the use of health care and other public services. “Depending” on government programs of any sort may be grounds upon which to deny immigrants entry to the United States. For this reason, immigrant rights and advocacy groups consider the public charge rule one front of the larger assault that this Administration is waging on immigrants—one with long-term and wide-ranging effects. Don Ramón’s kidneys are among the casualties of federal policies that encourage immigrants to forego health care. Don Ramón, an immigrant farmworker in California’s Central Valley, obtained legal status through the Immigration Reform and Control Act in 1986. He remained ineligible for Medicaid as a single male until he was able to bring his wife, Doña Luisa, and his children from Mexico in 2000. Even when he became eligible, however, he decided to do without Medicaid in order to avoid any hassles with his naturalization. As a result, Don Ramón only learned of his advanced diabetes when he was 50 years old, and it was already destroying his kidneys and claiming his vision. He first noticed that did not feel himself while picking chile in the summer of 2012. He began losing his sight, and noticed that his feet began swelling, then his hands, and his whole body. Due to his failing kidneys, water was accumulating in his body. “They said that if I had gotten help then…I could have prevented the damage. But now the damage is permanent,” he says. Perversely, a provision intended to reduce dependence on public health programs has only generated preventable disability and death, destroying able-bodied people in midlife and saddling the state with further health care costs. Now, because his diabetes was allowed to ravage his body undetected, Don Ramón is unable to work and condemned to thrice-weekly dialysis. Moreover, although the public charge provision—then and now—does not penalize immigrants for seeking assistance for their citizen children, immigrants have internalized the message that the federal government frowns upon their family’s acceptance of any form of public benefits. This deprives the 4.1 million citizen children of undocumented immigrants of assistance. The story of Guadalupe that opened this piece is illustrative. Although born in the United States and entitled to public benefits such as Medicaid, Guadalupe’s children grew up as second-class citizens. Indeed, many safety net providers and health advocacy organizations are already preparing to respond to the “public charge” proposal’s “chilling effect”: disenrollment from Medicaid among the children of immigrants and a spike in the number of uninsured due to the proposed rule change. This “chilling effect” also impacts university students, some of whom discover undiagnosed conditions only once they are in college. At the University of Oregon, Kristin had a student set to graduate in spring of 2018 who was suffering symptoms such as dizziness and fatigue—which the student attributed to academic stress—but were later discovered to be due to a previously undiagnosed chronic heart condition. The condition required emergency surgery, which the student obtained, but which threatened her ability to graduate on time (fortunately, the surgery was successful and the student graduated summer term). The student had never been to a doctor, even though she was eligible for services, because her parents were undocumented and feared using public health services through the Oregon Health Plan (OHP). This example shows how deterring immigrants from using needed health services has impacts across generations and over the life-course, as unmet health needs accumulate and as parental reluctance to use health services is passed on to children. 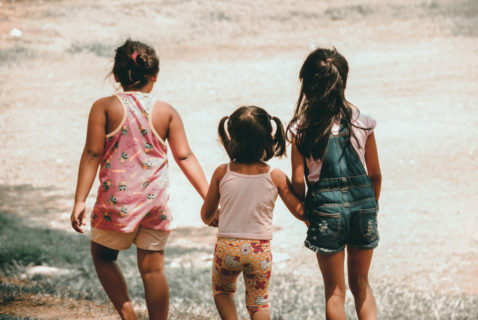 In an attempt to ameliorate such fears, the Oregon Legislature in late 2017 passed “Cover all Kids,” a bill granting OHP eligibility to all children under 18, regardless of immigration status. Tying the use of public benefits to immigration status also erodes immigrants’ trust in safety net institutions. In discussing Medicaid utilization with immigrant patients in response to the new rule change, safety net providers have to reverse course. After assiduously encouraging their Medicaid utilization despite the persistent myth that this would jeopardize immigrants’ chances at legal status change or naturalization, safety net providers now have to tell immigrant patients that their fears are justified. This weakens trust in public institutions and community organizations that providers have worked hard to foster. How can anthropologists respond to this proposed change? Most immediately, we can post opinions on the proposed change in the Federal Register during the 60-day comment period, which closes December 10, 2018. According to the federal government, commenters should identify their expertise, so anthropologists should mention our credentials and relevant research experience. According to immigrant advocacy groups, the sheer volume of comments matters, so anthropologists should submit comments as individual professionals, rather than as part of groups. Advocacy groups are also pushing back, spreading the word about the public charge provision, and guiding health and social service providers in understanding how to talk to community members about the implications of the policy. Anthropologists also must document the multiple ways public charge regulations affect immigrant families, staying alert to how public charge anxiety influences people’s engagements with local social service, health, and education providers over time. This work is particularly important for medical anthropologists, legal anthropologists, anthropologists of education, and others to take on. Within our networks, we have already heard about some of the rule change’s impacts: declines in children’s use of school lunches, reductions in immigrants’ use of charity food programs, and fewer applications for fee waivers in immigration processing centers across the country. As this provision undermines the very survival of immigrant families in the United States, a concerted anthropological response is necessary. Sarah Horton is an associate professor of anthropology at the University of Colorado, Denver and author of They Leave Their Kidneys in the Fields: Illness, Injury, and “Illegality” among U.S. Farmworkers. Whitney Duncan is an associate professor of anthropology at the University of Northern Colorado and author of Transforming Therapy: Mental Health Practice and Cultural Change in Mexico. Kristin Yarris is an associate professor of International Studies at the University of Oregon, where she also co-Directs the Center for Global Health and is a Steering Committee member of the Dreamers Working Group. She is author of Care across Generations: Solidarity and Sacrifice in Transnational Families. Fear-based policies are unconscionable, not only for their immediate impacts but also because they so often extend into intergenerational trauma and erosion of child, family, and community wellbeing. How the most vulnerable members of society are treated is perhaps the best moral measure of a society. Concerted anthropological and civic response is indeed vital – and never more so than in these times when children’s health and life chances are being undermined in our country, and when lunacy and larceny are on the rise worldwide. This is a wonderful article on a critical aspect of immigrant life. I look forward to seeing this work brought to the attention of the general public, legislators and people working to shape public policy.